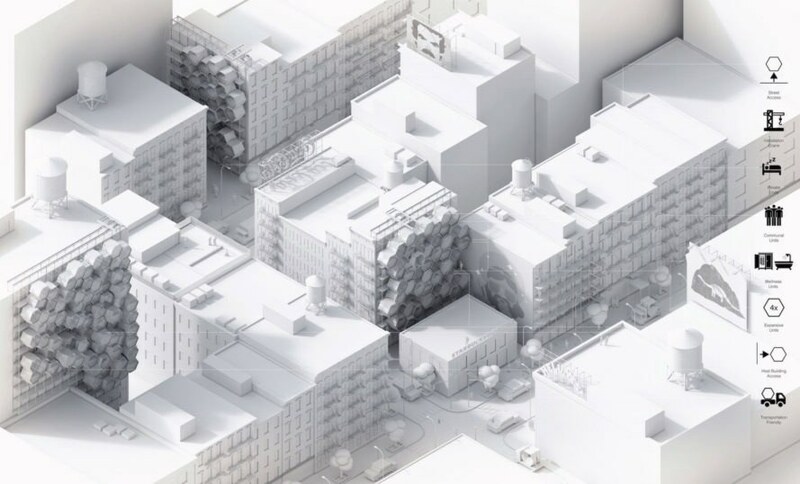 Creative agency Framlab has proposed a new type of architecture for housing New York City’s growing homeless population. 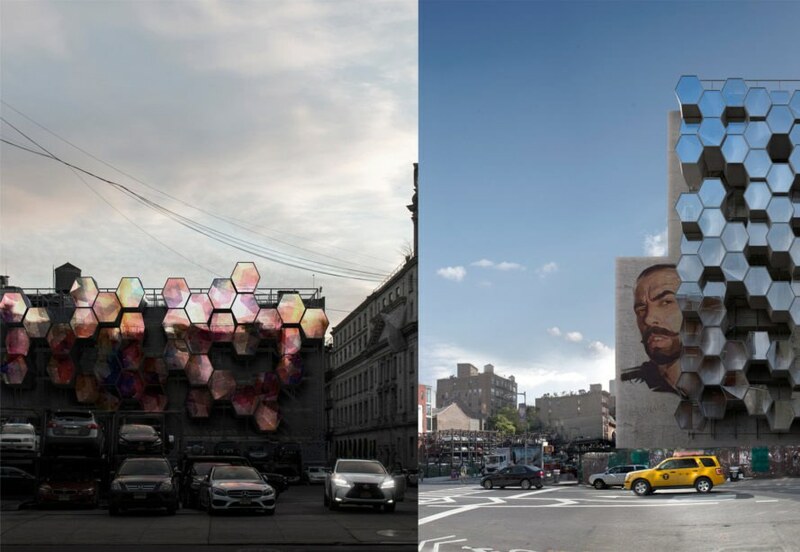 Called Homed, the temporary housing solution comprises partly 3D-printed hexagonal pods that use scaffolding to attach to the sides of unused, windowless building facades. The modular units could be easily customized for different uses and transported from site to site. In an estimate by the Coalition for the Homeless, over 61,000 people are sleeping in New York City’s homeless shelters every night, a growing number that Framlab pins in part to the loss of single-room occupancy (SRO) units. 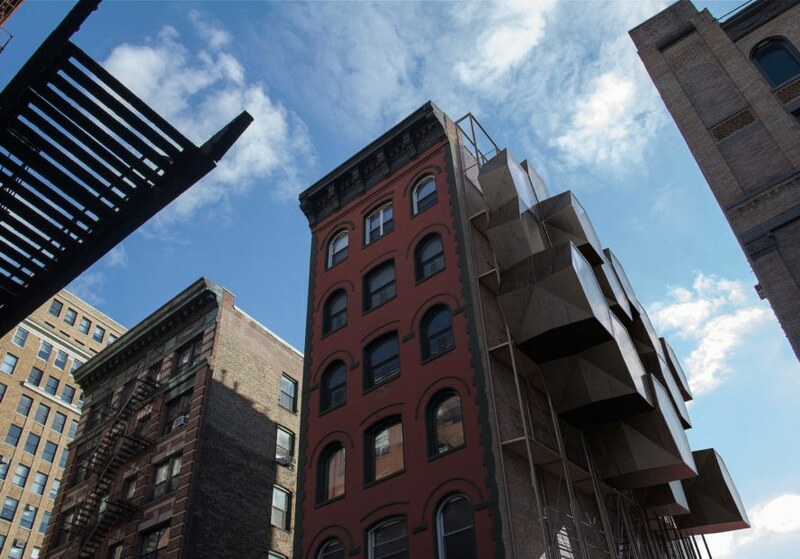 In the face of rising real estate costs, Framlab’s Homed proposal to bring back SROs banks on the city’s abundance of “vertical land,” the blank sidewalls of buildings that appear as developments come and go. 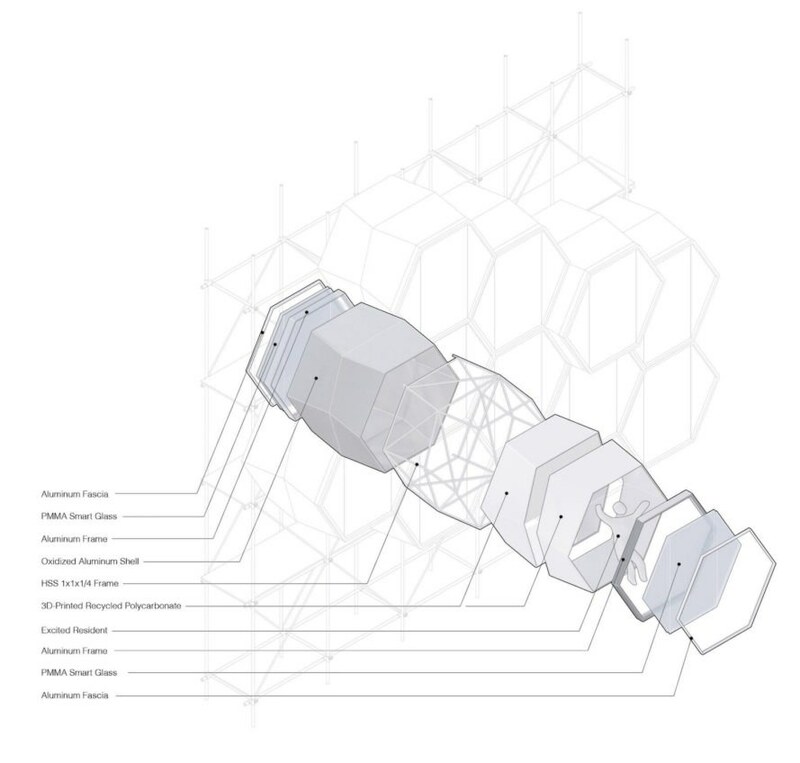 Using scaffolding to anchor the homes on the sidewalls, Homed’s hexagon-shaped housing modules could form temporary micro-neighborhoods and a type of private and attractive housing that most shelters are unable to provide. Following Homed’s tagline “Creating a Shelter with Dignity,” the tiny pods aim to create “a warm and friendly environment” in a year-round home. Each aluminum-framed pod features interior modules 3D printed from recyclable bioplastics and clad with wood laminate. PMMA smart glass lets in ample natural light, while the layer of thin film diodes provide privacy and can be used to depict artwork or commercial content on the outside. 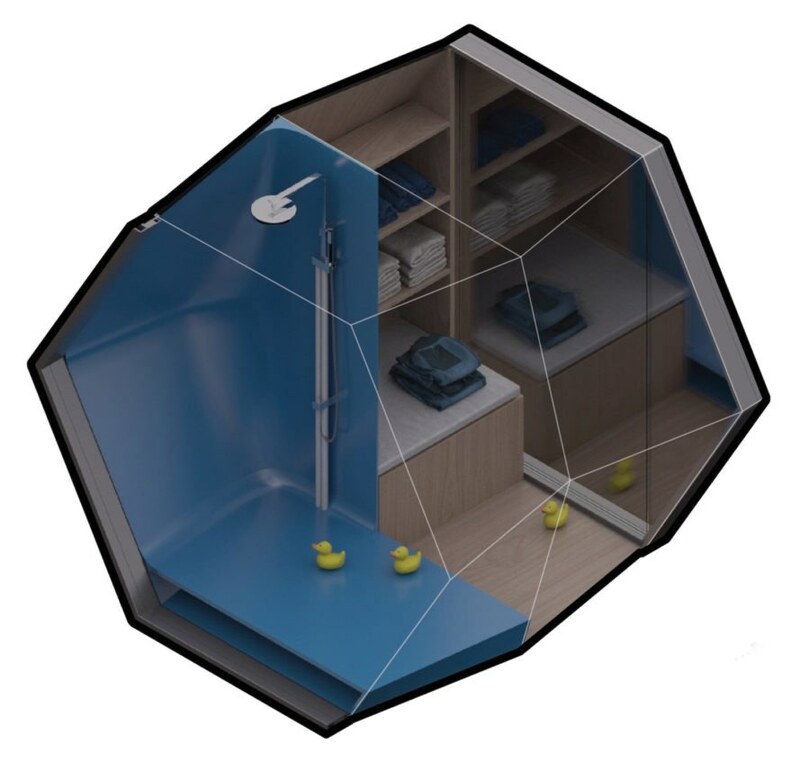 The flexibility of the modules allows a wide array of uses that include sleeping, showering, and socializing. 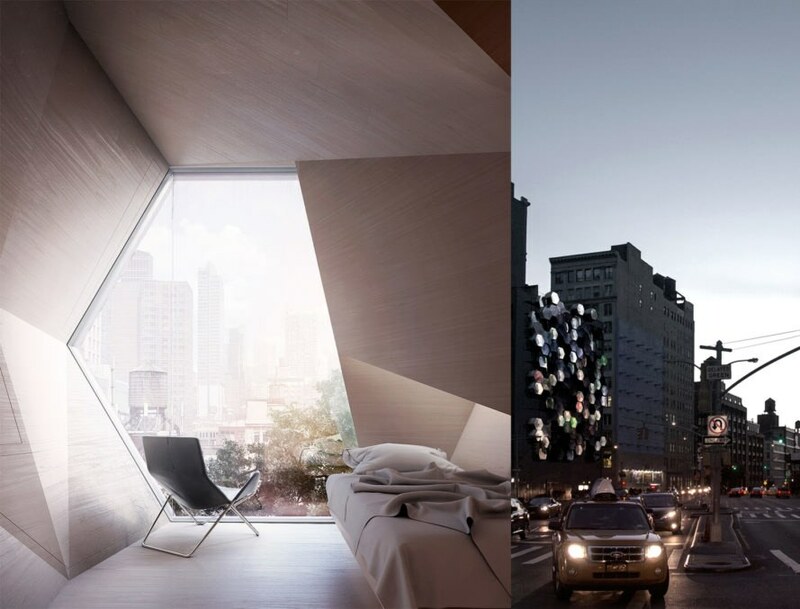 Creative agency Framlab has proposed a type of parasitic architecture for housing New York City’s growing homeless population. 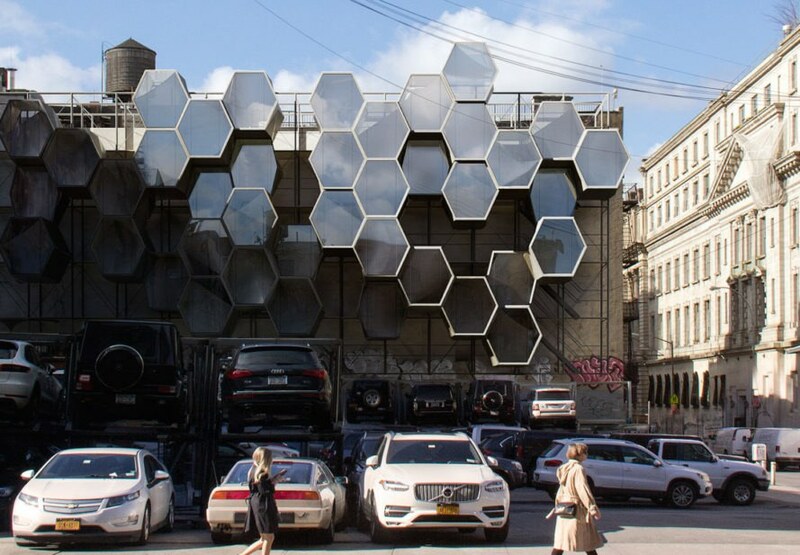 Called Homed, the temporary housing solution comprises partly 3D-printed hexagonal pods that use scaffolding to attach to the sides of unused, windowless building facades. The modular units could be easily customized for different uses and transported from site to site. In the face of rising real estate costs, Framlab’s Homed proposal to bring back SROs banks on the city’s abundance of “vertical land,” the blank sidewalls of buildings that appear as developments come and go. 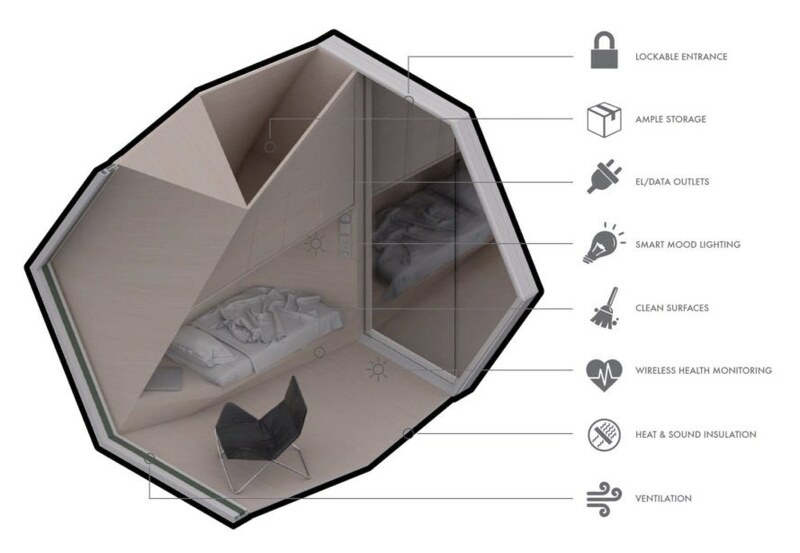 Using scaffolding to anchor the homes on the sidewalls, Homed’s hexagon-shaped housing modules could form temporary micro-neighborhoods and a type of private and attractive housing that most shelters are unable to provide. 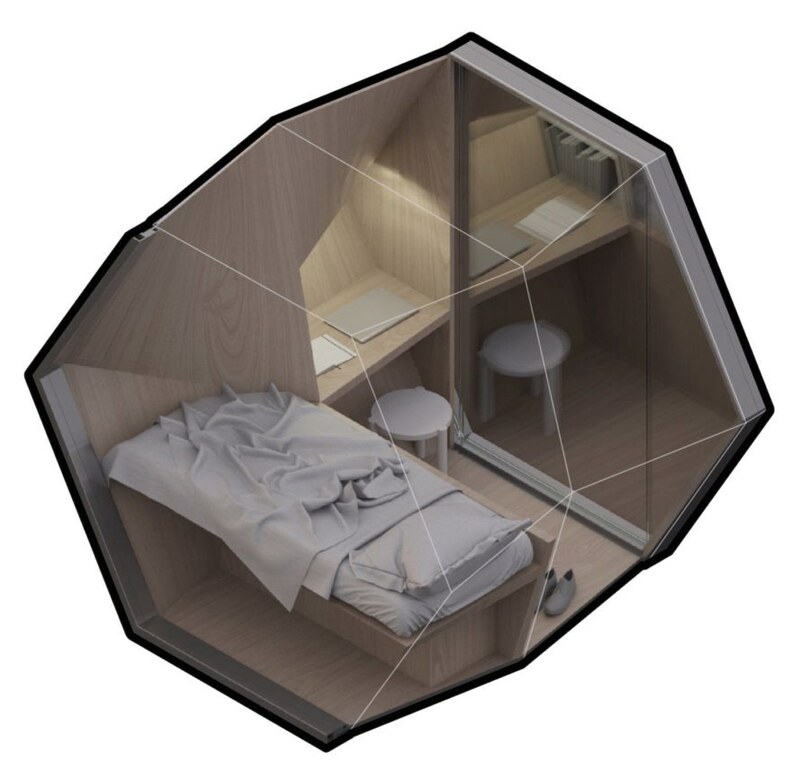 Following Homed’s tagline “Creating a Shelter with Dignity,” the tiny pods aim to create “a warm and friendly environment” in a year-round home. Each aluminum-framed pod features interior modules 3D printed from recyclable bioplastics and clad with wood laminate.